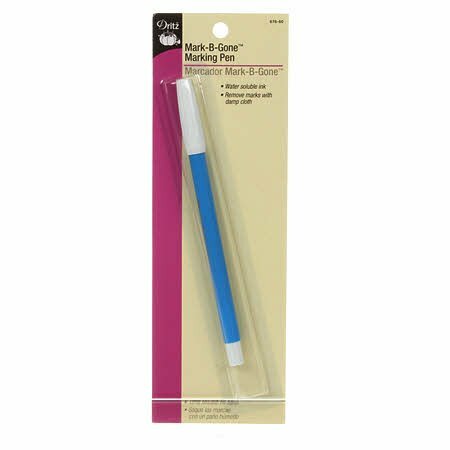 Use marking pen on washable fabrics to transfer pattern markings and quilt or craft designs. Some fiber contents, fabric finishes or dyes (red and pink in particular) may not be suitable for use with this pen. To remove marks, rub gently with clean damp cloth well moistened with plain water. Not recommended for dry clean only fabrics. Store pen with cap on and point facing downward.